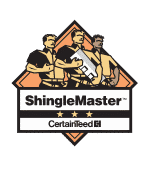 Look for missing, damaged or curling shingles and other signs of wear and tear. Check for signs of fungus or algae. Moss or algae buildup must be addressed. Inspect metal areas for rust and examine flashing to make sure it is solid. Seal or replace any cracked mortar or caulking around joints and chimneys. The hot Texas summers will cause deterioration in these areas first. Sweep or blow off debris on the roof. Sticks, leaves and other debris can damage shingles, cause algae to grow and clog gutters. Trim branches that are hanging over the roof to prevent damage and keep squirrels and raccoons away. At Grandchamp Roofing, we have a team of highly trained, qualified inspectors that can look at your roof and give you a fair assessment to how long of life it has left. We work with your insurance company to give you the best solution for your situation. Every roofing job is different and having the experience and warranty to back up your investment are critical. Give us a call today! We stand at the ready to serve you.